Traveling by bullet train to Toyota City’s Hospital in Japan – what questions do you have? 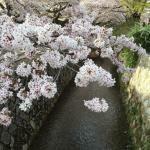 I’m writing this post while on the Shinkansen from Tokyo to Nagoya. 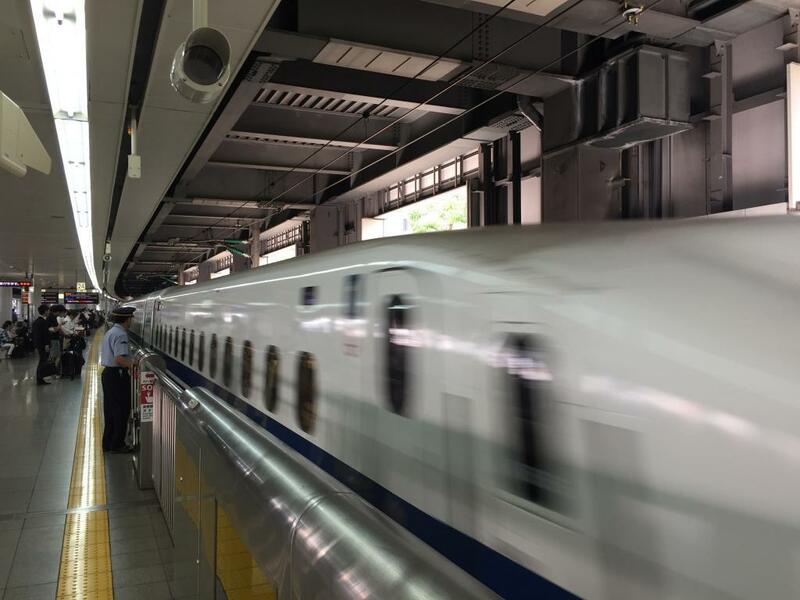 No matter how many times I travel on the bullet train – it must be over 20 times in the past 16 months – I still get excited when the train pulls into the Station. Train travel in Japan is incredibly efficient and pleasant, as I’ve written about before. I am going to miss the convenience and comfort of Japan’s rail system when I move back to the United States in two months. It’s amazing that I can get to Nagoya in 90 minutes. I’ve perfected my morning process to get to the station with just 10 minute buffer to allow time to grab a coffee and pastry, and get to my track on time. The only two high risk variables that I have to manage are: 1) my children waking up early and 2) not finding a taxi quickly. Thankfully today was easy, my taxi driver was quick and crafty with taking back streets to avoid traffic, I got to my track with the allotted 4 minutes buffer to spare with my hot latte and pastry in hand. With many visitors in town and preparation for classes and tours I’m leading, my desk time to write has been limited and blog posts that I want to write are still in my head (stay tuned). Today, my desk is my seat on the bullet train with Mt. Fuji zipping past. When I looked at the date just now, I realized that it is exactly one year ago to the week that I first traveled to Nagoya to meet Isao Yoshino. I didn’t know at the time what a good friend and mentor this retired 40-year Toyota executive would become for me (although I had hopes! ), and that 12 months later I would have taken the Shinkanesen 5 more times to visit with him, including three times in the past month (factory tours outside of Nagoya that I will write in more detail about in future posts, meeting up in Kyoto two weeks ago, and then today for our trip to Toyota City). Today, Mr. Yoshino is generously serving as my interpreter and driver on a private visit to Toyota Memorial Hospital. I have wanted to visit Toyota City’s hospital since I have moved to Japan. A Japanese friend of mine introduced me to two people inside the hospital and we set up this visit three months ago. It took that long to coordinate our four schedules! Does Toyota Memorial Hospital practice the Toyota Production System? The past ten years of my career have been spent helping hospitals in the United States and Australia improve at improving – through application of Lean production principles and development of a management system focused on developing people as problem solvers. As I’ve written about many times, most recently in one of my most popular blog posts to date, Japanese hospitals appear to not be practicing Lean or TPS to the same degree that many hospitals in the Western world have been. Let me know what questions you have for my hosts at Toyota Memorial Hospital in the comments below. My intention is to write about the day on my Shikansen trip back to Tokyo tonight, and to post the reflections and answers to your questions in the next few days. I will be jumping off the Shinkansen in a few minutes and I want to post this before I get off, so I’m posting quickly without many photos and not a lot of quality control time to proofread. I look forward to your questions and comments! I will write more posts about today’s visit to Toyota Memorial Hospital, and catch up on reflections from visits to two Japanese manufacturing companies, as soon as possible. You can sign up to be the first to know of the newest posts below. https://kbjanderson.com/wp-content/uploads/2015/07/IMG_4164.jpg 2448 3264 Katie Anderson https://kbjanderson.com/wp-content/uploads/2018/06/KBJAnderson_horiz_logo_bluegrey_340-300x42.png Katie Anderson2016-04-20 09:24:052016-04-20 22:32:54Traveling by bullet train to Toyota City's Hospital in Japan - what questions do you have?